9/1/2008 - Congratulations to Ray Stevens, he retired from NASA and the DOD after 28 years (Ray swears Apollo 13 was not his fault). He is now fishing and playing golf in OC, MD. 2/27/09 - From Judy Hill: I married Bob Harrison, Class of '64, on May 12, 2007. Also, I retired the same year! Woohoo!! I highly recommend retirement by the way!! 10/23/09 - Congratulations to Art (Wilson) Colbourn for being inducted into the Mount Pleasant High School Hall of Fame. Art is the second member of our class to recieve this honor. Andy Grundberg was inducted in 2007. Those of you who are feeling old need to take some inspiration from Jim Emerson... 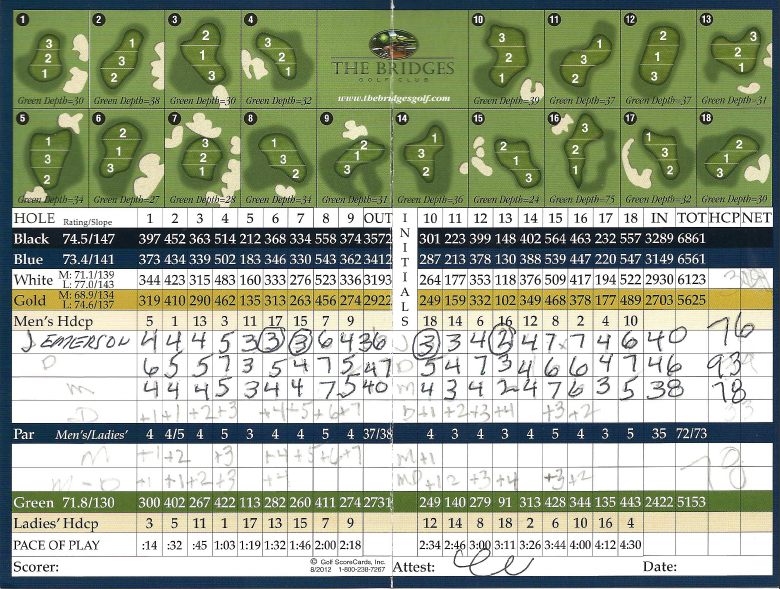 Here is a score card from a round of golf Jim played this month. 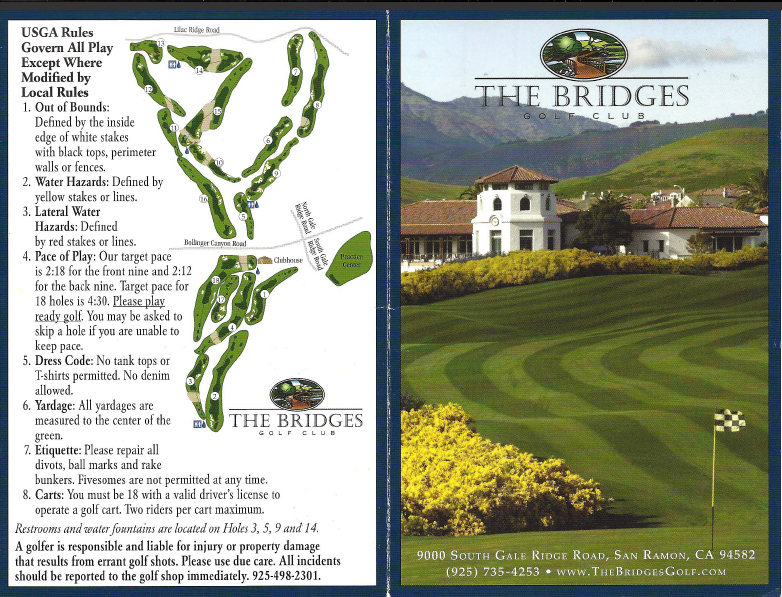 You golfers out there, note the slope of the course (degree of difficulty), this course from the Blue Tees is rated a 141 or par 73.4... Jim shot a 76, look at his score through 14 holes. I guess the old man started to feel the pressure. Let us add your announcement here. Retirement, Grand Children, Weddings, Special Events.... We want to hear from you.